Splendid Mail Day. Splendor Handspun Yarn. This was in the mail today! 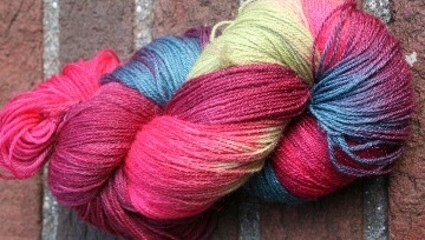 Six beautiful skeins of handspun from Laura and George at Splendor Yarns. Isn't it lovely? If you've been following along, you'll know that this was once some hand-dyed roving, here, and that Laura was kind enough to spin it for me. Although I have a gracious plenty of holiday knitting that needs to be completed, this yarn is so special and so pretty that it's calling me. It's irresistible! I think I'm off to look for patterns that would be nice for handspun. If you have any suggestions, please chime in in the comments! Last night was knit night at my local yarn shop, In The Making. It's the first time I've made it there -- in fact, the first time since last spring that I've made it out to knit with the girls. It was wonderful! Suzanne, the Sock Queen, was there, knitting socks in the most beautiful shade of blue Jitterbug from Colinette. Shirra, a/k/a Purl McKnitty, was there with her Mom. 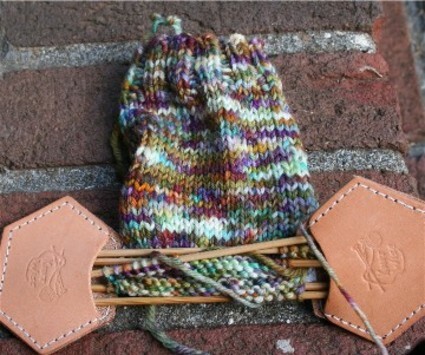 You have to go check out the little Pirate Hats she made for a swap! MJ a Ravelry friend who owns a very cool sounding yarn store in New York was in town for business and we got to meet there! 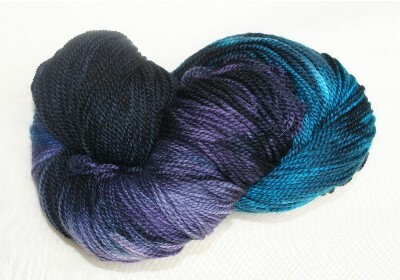 MJ was knitting Monkey socks in a really pretty blue to purple colorway of Jitterbug that I forgot to ask the name of. She has motivated me to pull out my Purple Rain Yarn and cast on for Monkey. 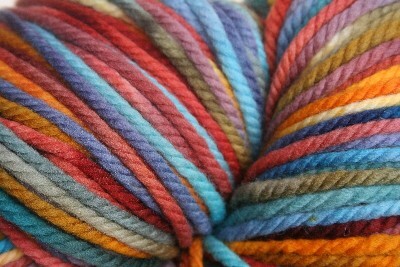 MJ brought me this fabulous Schaffer Yarn. It managed to slip its label so she didn't know the colorway and had to just give it away. Lucky me! It is even more beautiful in person! 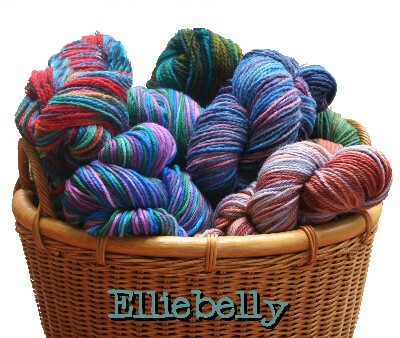 Instead of working on Rock and Weave, like I had planned, I started Ellie's superwash socks. 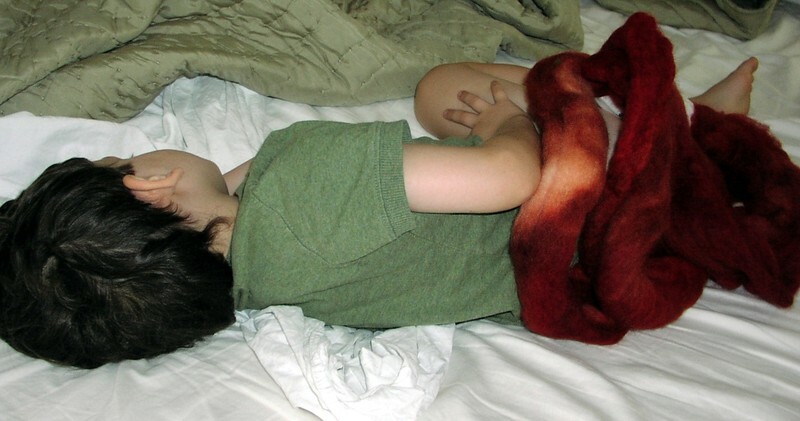 I dont knit with my own yarn enough! (so much yarn, so little time) It was a real pleasure to watch the colors take shape. I'm hoping to make a lot of progress on these socks at Nutcracker rehearsals tomorrow. My project for tonight is to give sheep a bath. 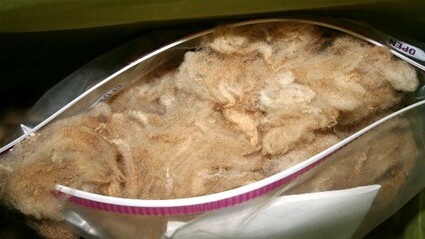 My friend Joyce Darby brought me over this sack of fleece a few weeks ago. I put it aside, not quite sure what to do with it. 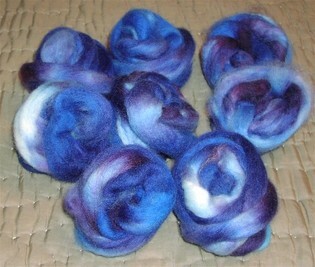 But, Stephanie had a great tutorial on how she washes roving on her blog, so I adapted it to some things I had on hand. I put it in a big plastic tub and have been putting it through rinses to get the muck out. Tonight, I'm soaking it in some mild soap. Look at how pretty its little curly pieces are. 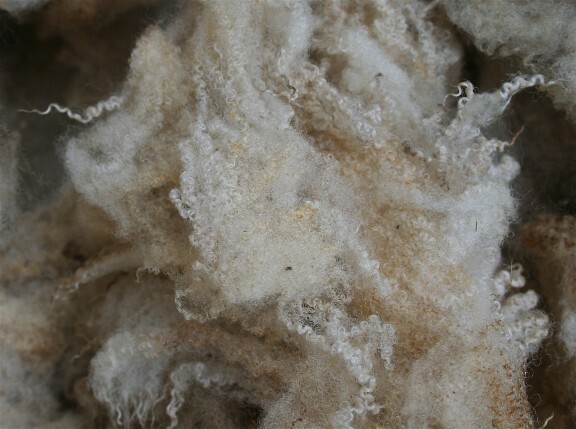 I think this is a sheep Joyce is thinking of acquiring for her farm, so I'm hoping to find some time to play with the fleece this weekend and see how it spins up. I have a ten week plan. Really, I do. I'm not much of a planner, but I have one. But before I tell you about that, did you know that if you spin at a T-Ball game, it makes you a really strange mom? Some people will look at you like you are very odd. But some women, mostly the right kind, will be inexplicably attracted to the spindle and will come over and ask what you are doing and if you know where they can learn. Nice women. And you will have new friends. Really. Bet you couldn't guess, but this is what I did at T-Ball Thursday night. It is the prettiest copper and tan Blue Faced Leicester and it is spinning up very nicely. And I really do have some new friends. As for the ten week plan part, well, it is sort of embarrassing, but is because I need a ten week plan. I need to spend some time getting in shape and eating right and relaxing or else middle aged malaise is going to overtake me. When I started the Giotto tank, I actually fit into the size 34 I was making. But the tank has fallen by the wayside and become one of those "I'll get to it later" projects. And I've gotten busy and managed to get out of shape to the point where I don't think it would fit. But, the tank has good sense. You see, it's knit in Moss stitch. 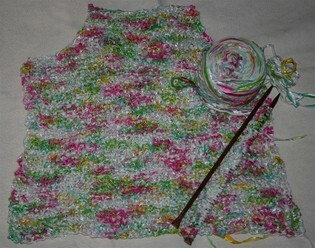 Colinette's Giotto, a ribbon yarn, in moss stitch. It's pretty agonizing in some regards. The needle wants to go through the cool fizzy edge of the ribbon and you have to be very careful. Plus, did I mention that it is Moss stitch? 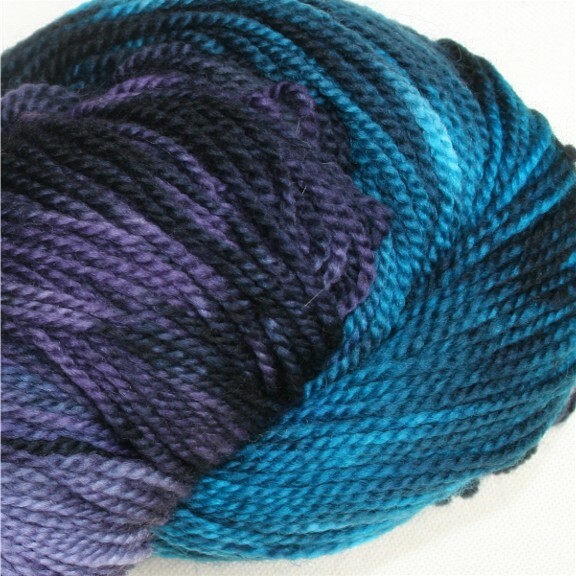 But all that time that it takes to knit in Moss is going to be my ally. I finished the back tonight and casted on for the front. If I knit just 1 1/2" a week, it will be done in about ten weeks. 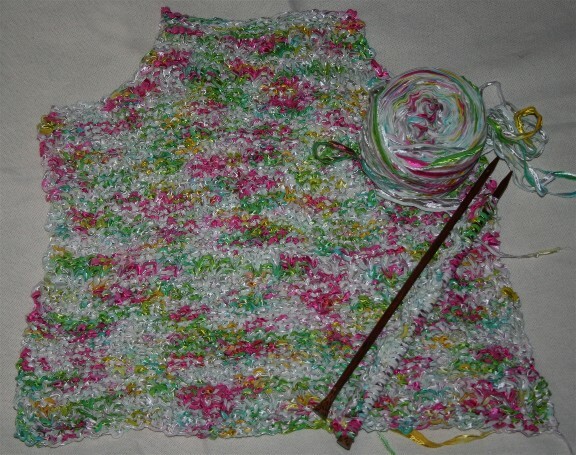 So I'm going to knit my inch and a half, eat some healthy food, get a little exercise, and plan on fitting into the Giotto tank (and feeling much healthier, thank you very much) just about the time it's done. The tank is going to give me my ten weeks. I'm not sure you could call it a knitting diet, it's more of a "knitting inspired plan for lavishing more time and attention on myself." I feel it working already. 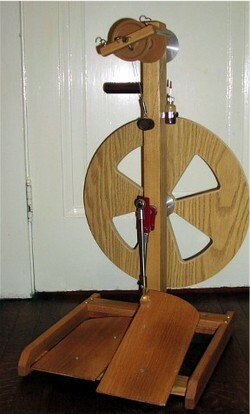 I came home last night to find that the husband has completely assembled my new spinning wheel. It is actually my first ever spinning wheel, and I have to confess, I'm a little bit nervous about entering new territory. She is a Fricke S-160 double treadle. 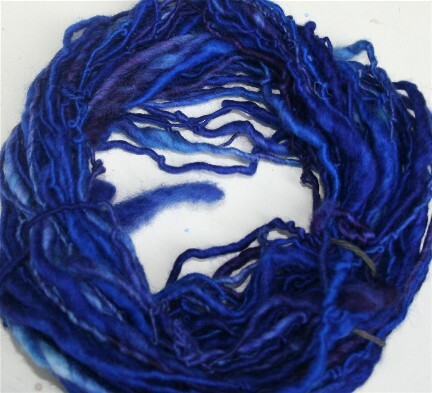 And, I just happen to have this beautiful roving, it's Blue Face Leicester and it's very soft and creamy, on hand and waiting to be spun. It's going to be a fun weekend at my house!